A group of scientists have discovered three new tiny species of frog in a remote mountainous area in central Peru. They are about the size of your fingernail and they live in a protected forest which can only be reached after a two-day hike. A team led by biologist Edgar Lehr of the Illinois Wesleyan University spent three months in the Pui Pui Protected Forest between 2012 and 2014, and discovered the three species by searching through grass, moss, rocks and small plants. 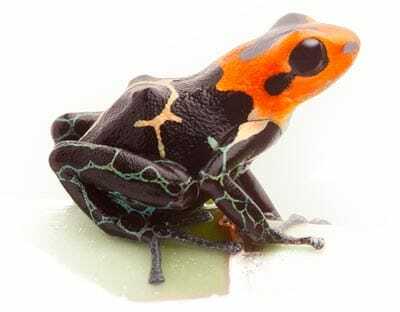 The three species are the Pui Pui rubber frog, the hill dweller rubber frog and the Humboldt’s rubber frog, named after the German naturalist, Alexander von Humboldt. They live at altitudes of between 10,000 and 13,000 feet and are all less than an inch in length. They are terrestrial breeding frogs that do not lay their eggs in water, but rather, a clutch of embryos hatches directly into froglets, thus bypassing the tadpole stage. The findings of the group indicate that the Pui Pui forest in the province of Chanchamayo is an area with unique characteristics that is home to species found nowhere else on earth. “One reason for this is that the area has a steep topographic gradient including a broad array of habitats and local microclimates that contribute to high amphibian species diversity”, Lehr said. Despite the fact that they live in a protected area, the frogs are still under threat from climate change, habitat loss and Chytrid fungus, an infectious, fatal fungus that is adversely affecting frog species worldwide. As an additional point of interest, the Pui Pui forest, whose name comes from the Quechua for “eyes of water”, so called due to the many lakes to be found there, is being promoted as a new tourist destination. The local municipal authorities, the Peruvian Chamber of Commerce and Tourism, and the chief forest ranger believe its lush cloud forest flora, rivers, waterfalls and coffee, orange, pineapple, ginger and cassava plantations are some of the attractions that make it a potential destination for exclusive tours to Peru. Interested in the nature world? Contact Kuoda Travel today and find out how you can discover the best of Peru’s natural wonders.